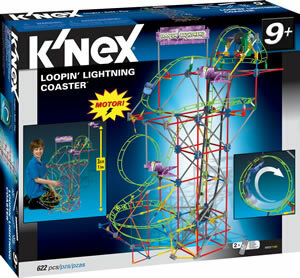 Standing over 3 feet high with 19+ feet of twisting, turning track, the motorized Loopin' Lightning provides a building experience that's just as thrilling as its performance. 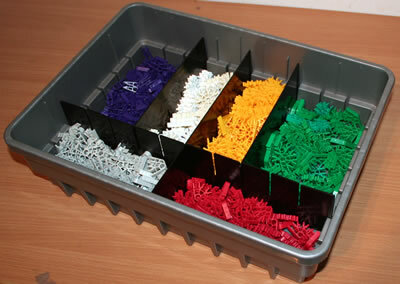 This set includes 622 colourful K'NEX pieces, including 2 coaster cars, motor and track. 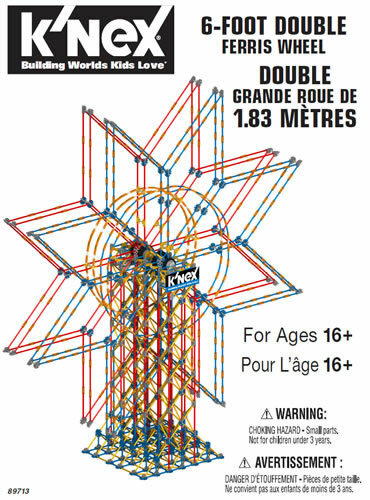 Follow the colour-coded instructions to build this exciting thrill ride step-by-step. Then switch the motor on to bring the model to life. The motorized chain lift quickly carries the cars to the top. 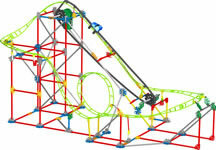 As they crest the peak, both cars accelerate through 19 feet of twists, turns and loops. 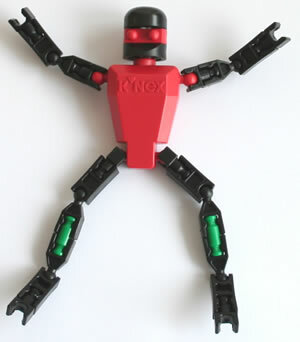 Instructions for a second dynamic model are available on www.knex.com. Requires 2 "AA" batteries (not supplied). Click here and enter set code 50025 to download all the instructions for this set.